The program is straining under frequent storms – and now it faces a looming deadline in Congress. After Hurricane Harvey, the question of whether the U.S. House of Representatives will extend funding for the National Flood Insurance Program is more important than ever. But what will happen if an agreement cannot be reached? 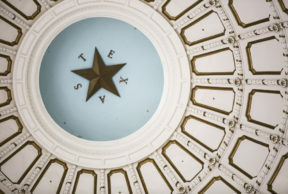 Greg Tourial, a reporter at Roll Call joined Texas Standard to discuss the implications of such a possibility. Despite the program’s financial difficulties, Tourial says claims are still being paid out as they should be. But longer term, the program’s viability might be threatened since there’s an upper limit of $30 billion to its borrowing. “The general consensus right now is that the program, as it’s currently designed, can’t bring in enough revenue to pay off claims from [another] major storm, like a Harvey,” Tourial says. The increased frequency of major storms means that premiums paid by flood insurance policy holders aren’t keeping up with claims.